Sisters stabbed by white male. One dies. This time on Rockyroadproductionsllc Porch Talk… Kermit Bishop, and I discuss the stabbing of the Wilson sisters, Tashiya and Nia. Unfortunately and tragically, Nia passed away. We give our thoughts and encourage you to do the same. All Social Media Sites operated by Porch Talk: Twitter: Porch Talk https://twitter.com/RacquelShelby Instagram: rockyroadproductionsllc (Porch Talk) https://www.instagram.com/rockyroadproductionsllc/ Tumblr: https://rockyroadproductionsllc.tumblr.com Writer blog: https://racquelshelby.blog Facebook: https://www.facebook.com/RocyroadproductionsllcPorchTalk/ Kermit’s social media: Facebook: … Continue reading Sisters stabbed by white male. One dies. Third Party in the Bedroom? 🤣🤣 Karissa McKinney-Carter has a personal story that is quite entertaining that she shares this time on #Rockyroadproductionsllc #PorchTalk . All Social Media Sites operated by Porch Talk: Twitter: Porch Talk https://twitter.com/RacquelShelby Instagram: rockyroadproductionsllc (Porch Talk) https://www.instagram.com/rockyroadproductionsllc/ Tumblr: https://rockyroadproductionsllc.tumblr.com Writer blog: https://racquelshelby.blog Facebook: https://www.facebook.com/RocyroadproductionsllcPorchTalk/ Please Like , Comment, and SHARE this video. Thank you for your views and support! 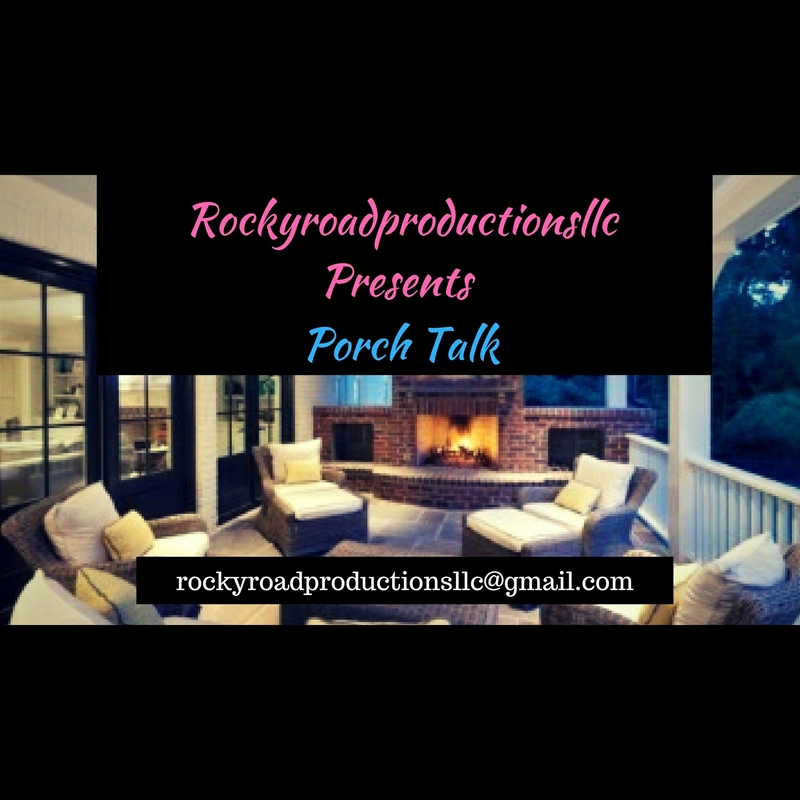 If you 💓💗💚💙 the content #rockyroadproductionsllc #porchtalk 📽🎬📷🎥 is giving … Continue reading Third Party in the Bedroom? Is a baby born outside of the relationship a deal breaker? We are back!!! 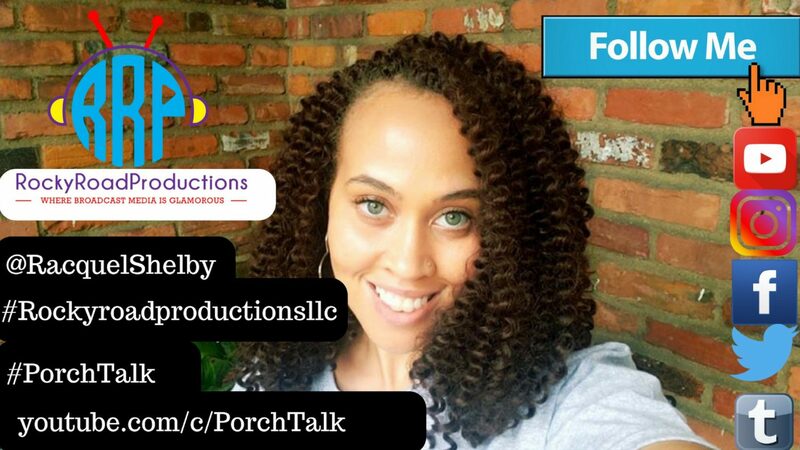 🤗🤗 Check out what Karissa McKinney-Carter and I had to say this time on #Rockyroadproductionsllc #PorchTalk All Social Media Sites operated by Porch Talk: Twitter: Porch Talk https://twitter.com/RacquelShelby Instagram: rockyroadproductionsllc (Porch Talk) https://www.instagram.com/rockyroadproductionsllc/ Tumblr: https://rockyroadproductionsllc.tumblr.com Writer blog: https://racquelshelby.blog Facebook: https://www.facebook.com/RocyroadproductionsllcPorchTalk/ Please Like , Comment, and SHARE this video. Thank you for your views and support! If you 💓💗💚💙 the content #rockyroadproductionsllc #porchtalk 📽🎬📷🎥 is giving you… Please … Continue reading Is a baby born outside of the relationship a deal breaker?